This post is by Craig Agutter, EMEA Ecommerce Manager at international currency transfer provider World First. For online sellers across the world, Asia is already a lucrative market but it is the rate of growth and scale that really sets it apart. China’s online retail market is already the world’s largest with over US$600 billion of sales in 2015 according to research by McKinsey. However, forecasters believe the current size has barely scratched the surface, with China’s low tier cities along with other countries in Southeast Asia beginning to benefit from the ecommerce boom. In Thailand, 85% of consumers not living in major metropolitan hubs use mobile devices for their online purchases. So, the question every ambitious online seller should be asking is: how can I tap into these active and growing markets in Asia? Below, we look at the top marketplaces and give you tips on taking advantage of the opportunities for online sellers in Asia. Coupang is the largest ecommerce website and online marketplace in South Korea, the seventh-largest retail ecommerce market in the world. Starting off as a daily deals website in 2010, Coupang was the world’s fastest growing ecommerce company with over $2 billion in sales. Now, it is estimated that 2 out of 5 Koreans are Coupang users making it the best platform to penetrate the growing consumer market in the region. Interestingly, Coupang has succeeded in a market where not even Amazon have. Like other Asian marketplaces, they have done this by innovating to meet the needs of the local consumer. This has included things like same-day delivery and investing heavily in mobile optimization. With big names like SoftBank and BlackRock investing in the company (and valuing it at $5 billion), Coupang is a name that we are likely to hear more of in the future. Founded in 2007, Flipkart has become an Indian start-up success story. Like Amazon, Flipkart started as an online bookseller and has quickly grown to become the largest online marketplace in Asia with a billion-dollar valuation to boot. With Indian consumers adopting online shopping at a rapid rate, Flipkart has benefited from first-mover advantage as well as adapting their business model to meet the country’s specific needs. For example, Flipkart was one of the first adopters of cash-on-delivery payments which proved successful in getting more customers to use the service. Flipkart has also invested in setting up its own logistics service, creating its own infrastructure to support a growing ecommerce industry. For online merchants, selling on Flipkart is fairly straightforward with an easy sign-up process. However, in a move to increase its profitability, Flipkart recently changed its fee structure. Sellers should now expect to pay commission, as well as shipping and collection fees, while existing rates have gone up too. Nevertheless, with its wide reach, Flipkart is still one of the best platforms to get your products to Indian consumers. Also see Indian Ecommerce: a Big Opportunity for Marketplace Sellers? As the biggest ecommerce website in Southeast Asia, selling on Lazada is the ideal way to reach new customers in territories such as Singapore, Indonesia, Malaysia, Philippines, Thailand and Vietnam. Lazada’s easy-to-use platform gives sellers exposure to over 50 million visitors a month and each seller can customize their online “shop front”. Furthermore, Lazada also offers a fulfillment service making it easy to manage the whole sales process. Lazada features an extensive product offering in categories ranging from consumer electronics to household goods and fashion, across a huge geographical foot print. Also see 3 Emerging Markets to Have on Your Global Ecommerce Radar. A familiar name among seasoned online sellers, Rakuten is one of the largest ecommerce platforms in the world. Founded in 1997 in Japan, Rakuten is a third-party marketplace that has rapidly expanded across the world by acquiring well-known names including Play.com in the UK, PriceMinister in France, Buy.com in the US and many others. Like Alibaba and Amazon, Rakuten is one of the brands at the forefront of ecommerce. Also see Selling on Rakuten Japan: Your Questions Answered. Started in 2010, Snapdeal is one of India’s largest marketplaces. 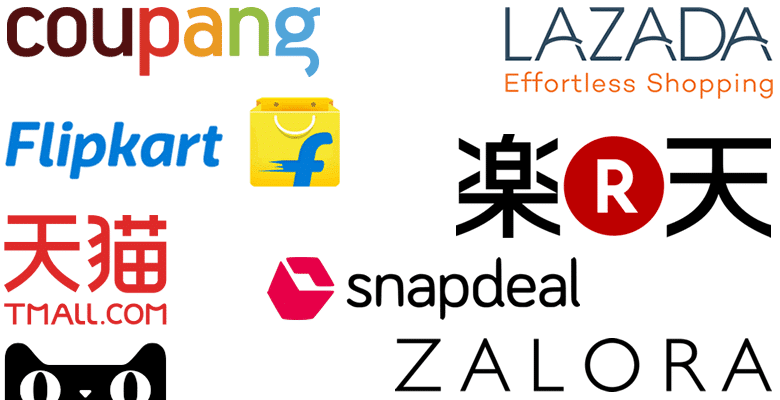 Backed by eBay, Snapdeal boasts over 40 million users and 300,000 sellers. Snapdeal has grown through strategic acquisitions and encouraging international sellers on its marketplace through its geographical reach, with the website accessible from anywhere in India. Snapdeal promises to offer the best-priced deals on branded products which range from electronics to fashion and apparel. Snapdeal handles all storage, packing and delivery for its sellers as part of their Snapdeal Plus program making it hassle-free for international sellers. A spin off from Taobao – the online marketplace owned by the Alibaba group which controls over 80% of the market in China – Tmall Global was set up to provide big brands from the West a marketplace with access to China’s growing consumer base. Alibaba’s standing and reputation in the region means Tmall is a hugely trusted platform for Chinese buyers, and reaches many of the region’s lower-tier cities and rural areas. With Tmall, retailers can sell to Chinese shoppers through special warehouses provided by the platform. In essence, Tmall provides the whole shopping solution with merchants only needing to supply the product, and that is why many of the world’s biggest brands, including Burberry, Zara and Disney are selling on Tmall. 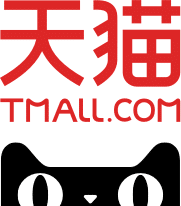 Also see China’s Tmall Global: Everything You Need To Know. Fashion-focused online marketplace Zalora launched in 2012 and covers 11 countries across Asia-Pacific including Indonesia, Taiwan and Australia. Zalora’s marketplace is aimed at independent merchants looking to reach a diverse customer base. Zalora has also launched its own fashion and lifestyle magazine cementing itself within the lifestyle sector. Zalora’s marketplace now features over 1,000 independent boutiques on its marketplace. For online sellers looking to grow their business, Asia is THE marketplace to explore. While setting up will take an initial investment in terms of time and cost, the potential to grow your business by selling to the ever-expanding middle class is unrivaled. Also, you can’t rely on old favorites like Amazon and eBay with many local marketplaces having a far stronger foothold in the region. Hopefully this post will assist you in choosing the right marketplaces for you to start selling in Asia. World First helps online sellers preserve as much of their sales proceeds as possible when bringing funds home from international marketplaces. They can be contacted via WorldFirst.com. World First is currently the highest-rated currency exchange service in the Web Retailer directory: World First reviews.